Arrowhead Provincial Park in Huntsville, Ontario opened their ice-skating trail in 2012 and it has since become one of the province's most popular winter activities. This year it was voted amongst the Top 50 Canadian Winter Experiences and named one of the 19 Stunning Natural Ice Skating Rinks Around the World. 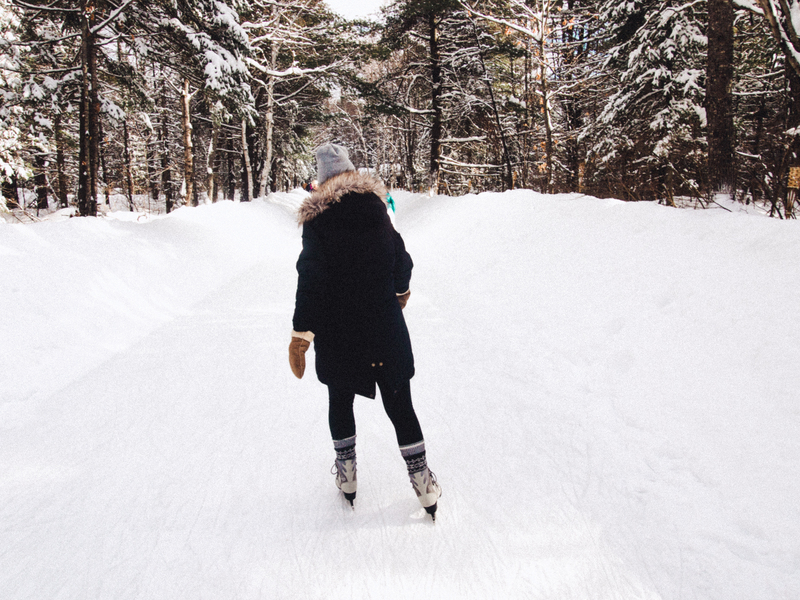 There are few things more Canadian than ice-skating through a forest in February. This past weekend, my friends and I spent a whimsical weekend in the woods at Arrowhead Provincial Park and experienced what has been dubbed as "Muskoka's fairy tale skate." Living in Toronto, I am always on the hunt for weekend escapes from the city, especially to places where I can bask in the beauty of the outdoors. 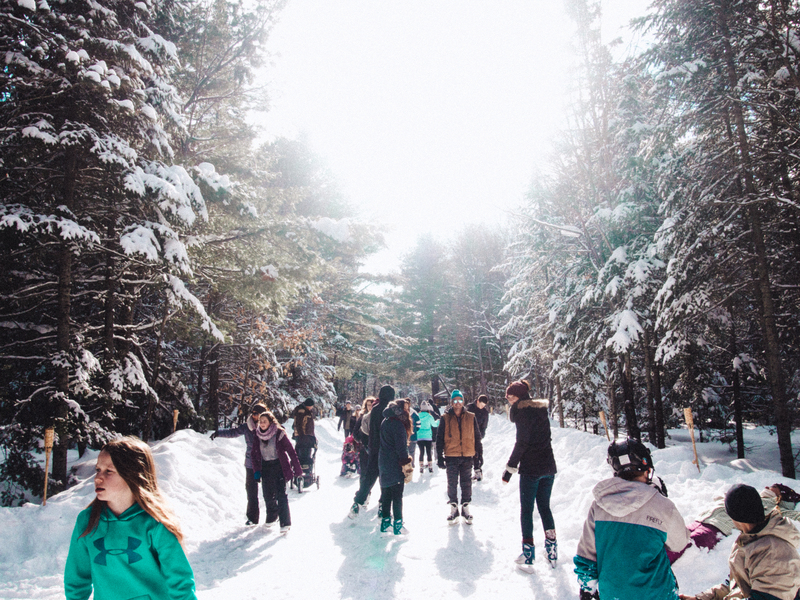 This winter, I was initially interested in checking out the newly opened Woodland skating trail in Lac-des-Loups, Quebec -- a 3.0 kilometre trail about an hour drive from Ottawa. However, I was pleasantly surprised to discover that there was another forested trail even closer to home! Arrowhead Provincial Park in Huntsville, Ontario opened their ice-skating trail in 2012 and it has since become one of the province's most popular winter activities. This year it was voted amongst the Top 50 Canadian Winter Experiences and named one of the 19 Stunning Natural Ice Skating Rinks Around the World by Travel + Leisure. The night before my friends and I arrived, we were hit with a huge snowstorm that blanketed the region with fresh snow. I was worried that the blizzard would continue throughout the weekend, however the sun came out on Saturday and created picture-perfect conditions. Skating under a thicket of evergreens with the sun sparkling through the trees made it truly feel like an enchanted forest. The skating trail is 1.3 kilometres long, which was shorter than I expected, but didn't diminish the experience. The park gradually got more crowded later in the afternoon, but when we first arrived we had stretches of ice to ourselves. After warming up the rusty twinkle toes and attempting some fancy footwork, I couldn't believe it when someone mentioned that we had been skating for nearly three hours. Time flies when you're having fun(cliché, yet true). Afterwards, we stayed at an AirBnB in Huntsville, about a 20-minute drive from Arrowhead, and for the rest of the night we played games, made a big family-style dinner, drank wine and ate s'mores. 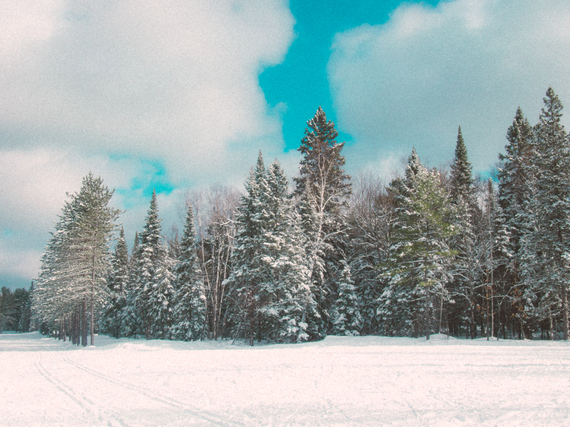 Coordinating busy schedules during the week can be a challenge, especially when it's so tempting to hibernate until spring, but planning a snowy weekend getaway to Arrowhead Provincial Park was worth the three-hour drive! 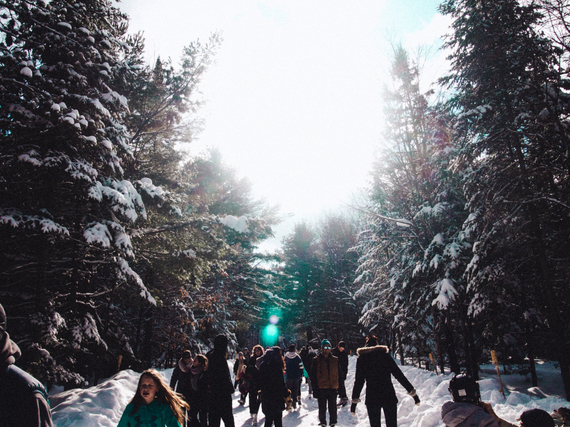 It was an incredible weekend to catch up with old friends and we were able to check off skating through a forest on our winter bucket lists. Arrowhead Provincial Park from Louise Johnson on Vimeo. The eight of us rented an AirBnB in Huntsville, about a 20-minute drive from Arrowhead. We drove to the park first for skating and then checked into our AirBnB later in the afternoon once the park started to get busier.